Bull-It Jeans let you ride in comfort, safety and style. Since 2011 Bull-It have been working with Covec to design high-performance 'Technical Textile' fibres to incorporate into their motorcycle jeans, aiming to push beyond the benefits or regular aramid yarns. Bull-It work with Superbike teams, Flat Track, Long Track, Speedway riders and stunt riders, not forgetting the Fire department and Bike Safe Police Teams - all with one thing in common: people exposed to high speed 'offs'. 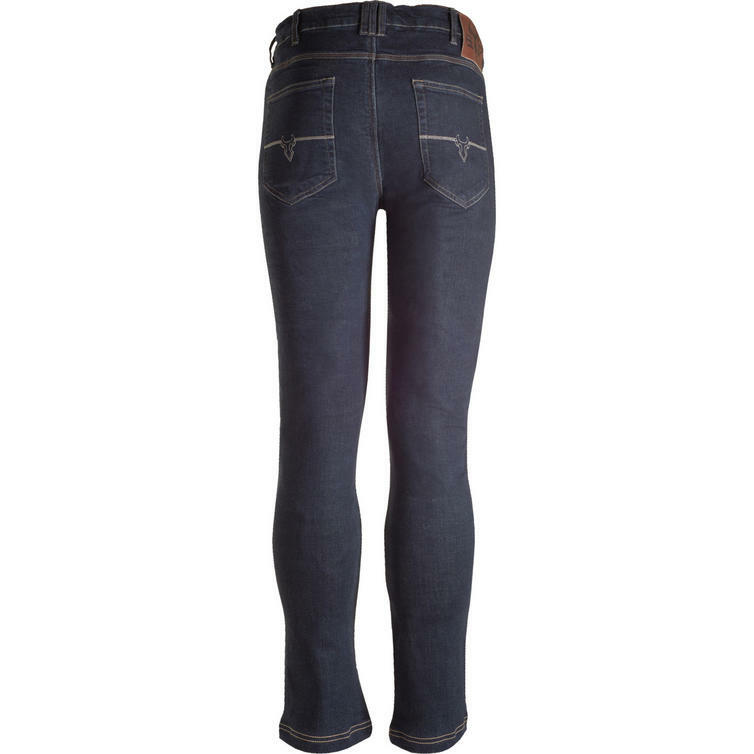 Bull-It supply both men's and ladies' motorcycle jeans, with a range of jean fits available. The Bull-It SR6 Italian 17 Slim Fit Blue Motorcycle Jeans are part of the latest Bull-It collection. View all Bull-It Motorcycle Jeans. View all Motorcycle Jeans. UK / US Waist 26"